First edition MLS arrives with US MLS Clubs this month! 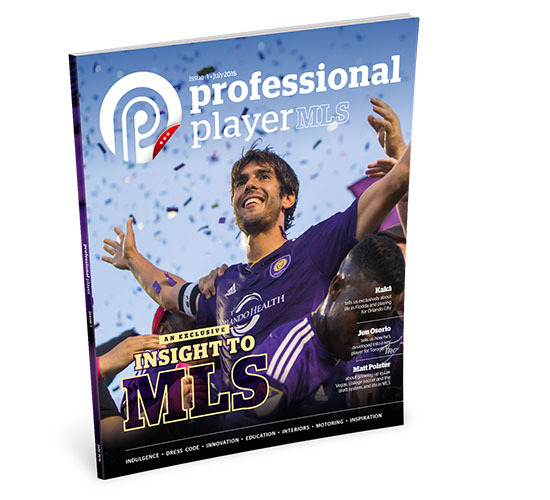 Professional Player brings you the exciting launch of the first MLS Issue with an exclusive insight into the MLS. Kaká tells us exclusively about life in Florida and playing for Orlando City. Jon Osorio tells us how he’s developed into a key player for Toronto FC. Matt Polster talks to us about growing up in Las Vegas, college soccer and the draft system, and life in MLS. The exciting launch of the first MLS Issue!